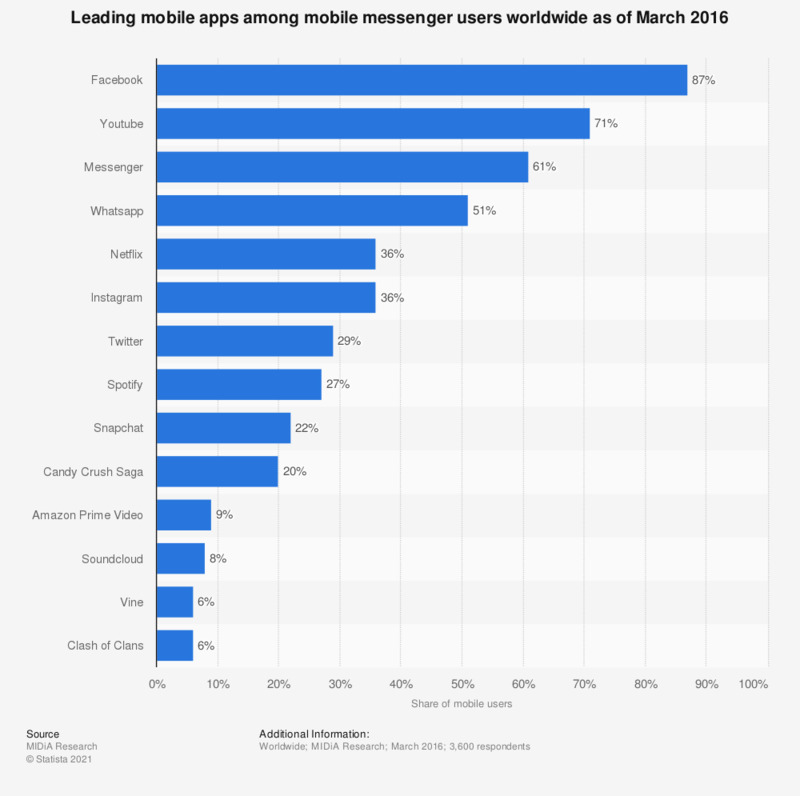 This statistic presents the leading mobile apps among mobile messenger users worldwide as of March 2016. According to MIDiA Research, 22 percent of survey respondents used Snapchat at least every week. Original question: Which of the following do you use at least every week? Survey respondents were from US, Brazil, Australia, UK, France, and Sweden.